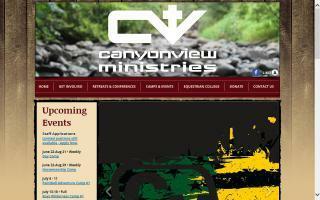 Christian Youth Ministries Directory - O Horse! Animal therapy with God's special animal therapists. We have a small program right now but would like to grow. Right now we have dairy goat therapy, dog therapy, small animal therapy and therapeutic gardening. We have horses and want to use them. We need volunteers and financial help. Looking for someone to help fill out the nonprofit forms and a grantwriter, so we can make a difference in the lives of all the children who are waiting to come here, and in this time of so much stress in the world, they really do need to come. I've seen them change so much. Also we want to serve our Lord and Savior Jesus Christ with this ministry. We are using the CEF Mailbox club with the children that come now. Christian Horse-lovers Club - CHC Inc.
A non-profit organization that offers teaching curriculum to the public for horse crazy girls 4th grade and up. 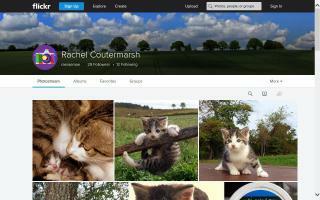 The unit study format is used to teach about the Bible and Horses. Please feel free to check out our web site for more info. 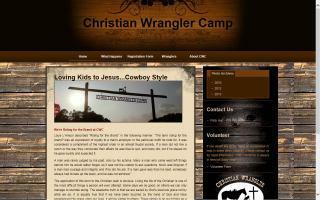 Christian Wrangler Camp is a very inexpensive summer camp that exists solely to share the gospel with young folks. We do this through the use of horses. While teaching kids the basics of horsemanship, we also strive to share the love and salvation of our Lord Jesus Christ. We reach out to kids who are not going to church or who normally couldn't go to a camp. Our slogan is "Sharing the love of Jesus - cowboy style." The ranch of rescued dreams. Rescuing horses and helping kids. A safe and peaceful environment where broken children, horses, and families can find hope within the healing circle of unconditional love. Lucky W Ranch offers Christian based summer horse camps for kids, riding lessons, horse training, and occasionally horses for sale. We also offer parties, leases, and gift certificates. Everything Jesus! Ranch has a ministry opening for single person or married ranch equestrians. The person He sends will have experience in training horses to be ridden and people to ride horses. Farrier experience is a huge plus. This position is a live-on ministry position and involves caring for horses naturally, giving small group lessons to our K-12 students (we have a small tuition-free academy), working with people who come to the ranch for healing from chronic and terminal conditions, and conducting a Christ-centered trail ride on Saturdays that is called "Run With the Horses" and similar in format to the Walk to Emmaus. We are a multi-cultural, multi-racial worship community committed to sharing the Gospel, encouraging healthy living from the inside out, and living simply, sustainably, and joyfully in modesty and morality. Please look at GenesisChristianChurch.org to learn about our ministry, our mission, Who we love, and Who we serve unconditionally. Open year round, allowing folks to "Experience the West" here in Ohio! 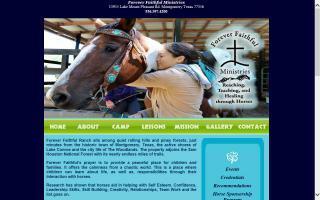 Faith Ranch is a non-denominational Christian ranch, camp, retreat center, and public riding stables. Folks may plan a day outing, overnight, or a full week of adventure. Our primary purpose is to spread the message of Jesus Christ with each and every one of our guests! - We believe in the divine character of the triune God. - God the Father, God the Son, and God the Holy Spirit. - We believe the Bible to be the infallible word of God. - We believe in the deity and virgin birth of the Lord Jesus Christ. - We believe in the necessity of the new birth in salvation by grace through faith in Jesus Christ who shed His blood, was crucified, buried, and resurrected for us. - We believe in the power of the Holy Spirit living in the believer; and the importance of a life committed to the will of God in Christ. - To model and encourage a Christ-centered life. - To teach relationship with Christ as a foundation. - To build mentoring relationships with campers. - To teach and model Godly character. 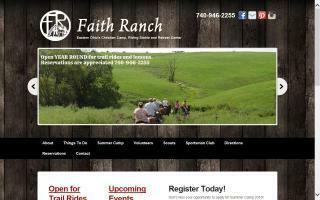 Faith Ranch is a Christian ministry sharing the love of Jesus in a ranch setting. Forever Faithful Ministry is a facility to reach, teach, and heal through horses for the kingdom of God. We teach western riding lessons with horses, using top notch instructors, prayer, and Jesus Christ. The horses help children and adults with confidence, self-esteem, leadership skills, etc. Mrs. Teri (the founder) has had over 40 years experience with horses and 10 years of experience with Disneyland Paris, performing as Annie Oakley with Buffalo Bill's Wild West Show. She has studied dressage, done a small degree of stunt riding, and learned from many PRCA cowboys and cowgirls across the country. We also have summer day camps that are fun packed with swimming, Christian crafts, scavenger hunts, and horsemanship. We pray you will come and see our beautiful, peaceful environment and come to experience God's country in Montgomery, Texas. Reaching out to hurting youth and veterans, Glory Reins Ranch is a Christian ministry located in central Virginia that seeks to restore hope and healing through the gospel of Jesus.